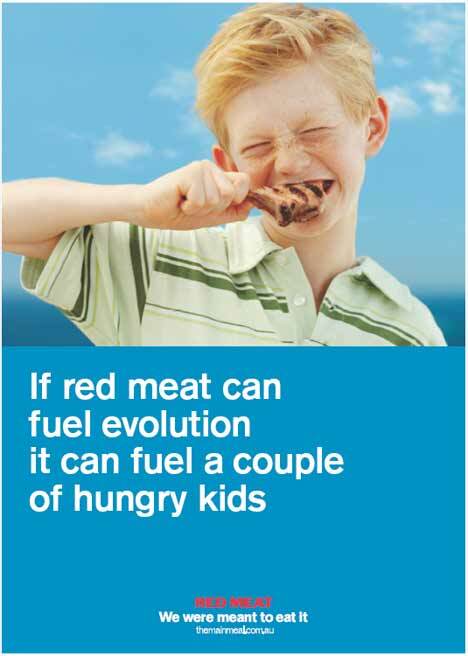 The Red Meat Instinct campaign in Australia is spreading on television and posters. 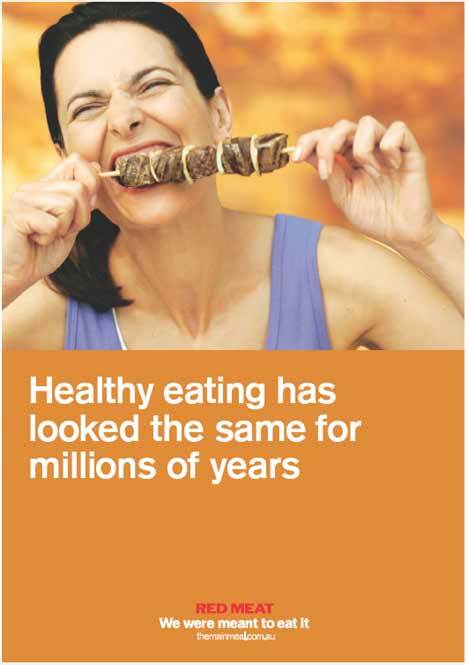 The first three posters here connect the meat-eating habits of Australian families with evolutionary theory. The fourth poster sets out to demonstrate the connection between eating red meat and intelligence. Only problem is that humans are not the only red-meat-eating species around. 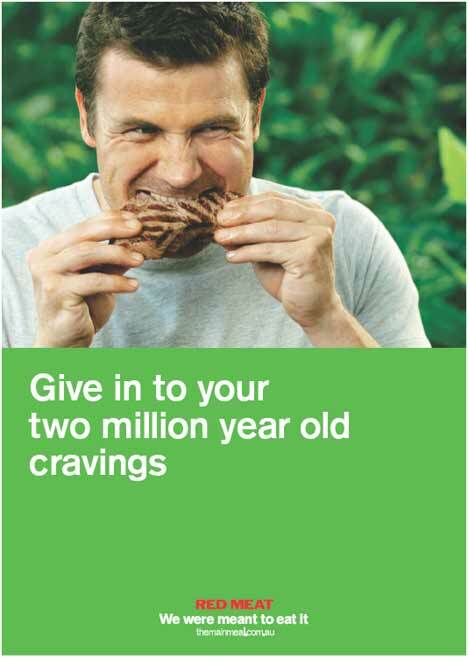 Give in to your two million year old cravings. If red meat can fuel evolution it can fuel a couple of hungry kids. 6 millions years ago, ape jumps out of tree. 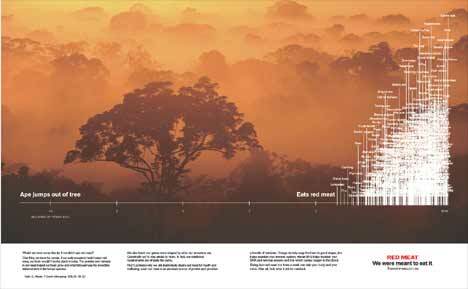 2 millions years ago, eats red meat, then develops language, stone tools, clothing, fire.. Healthy eating has looked the same for millions of years.